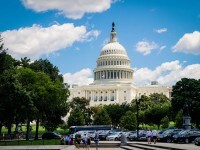 Inspector generals at nearly 20 US federal government agencies have concluded that cloud services outside of FedRAMP approved services are being utilized within the government agencies that they audited. This past summer, the US government imposed a deadline for FedRAMP vendor’s approval and many agencies seemed to have overlooked the deadline and went forward with their cloud endeavors anyways. A report a NextGov mentions that the agencies will face little to no consequences for bypassing this deadline.